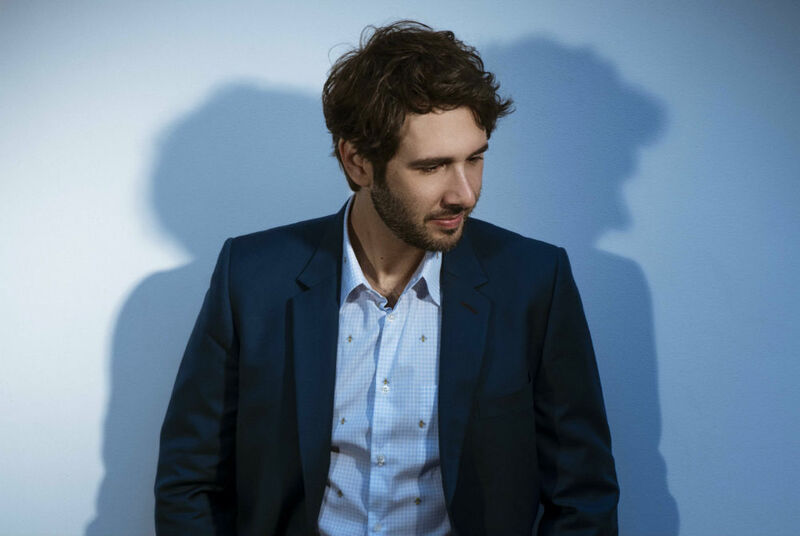 Golden-voiced Josh Groban was a talented and terrified 17-year-old senior at Los Angeles County High School for the Arts when his big break came. His vocal coach introduced him to megaproducer David Foster, who needed someone to stand in for opera star Andrea Bocelli for a Grammys duet rehearsal with Celine Dion. Bocelli went on to do the awards show broadcast, and Groban went back to history class. What messages did you want to convey with the songs you wrote for Bridges? The single “River” seems to touch on loneliness and depression. Music can be very therapeutic for the person writing and for the person listening. Specifically, for that song, I’ve gotten so many great responses from people who shared with me their stories of mental illness. Stories of what their river has been, so to speak. What they’ve had to do to get through their struggles. That song aside, this has been a common theme that has been the most rewarding for me throughout my career: when people tell me that one of my songs has become a part of their personal story. Part of their healing process, or their grief, or a celebration. That takes me out of my bubble and makes me realize that I’ve reached people on a deep level. That’s a very special thing. When a song can breathe and have a life of its own, I get to see the impact it has on people. My strategy for the last eight albums is to just make music that gives me the chills and hope other people will feel that way, too. What music by other artists gives you the chills? I’ve always liked great voices. I grew up listening to great vocalists, like Streisand and Mel Tormé and Plácido Domingo. I’ve loved great storytellers like Paul Simon, Peter Gabriel, Björk. I was also a teenager in the ’90s, a great era for grunge and hip-hop like LL Cool J, Pearl Jam, Guns N’ Roses, Nirvana and all that cool stuff. And I loved world music, particularly African music. There’s something about all the different styles in South Africa, Benin and Cameroon, which kind of made its way into my Awake record. There’s so much to listen to. You’ve accomplished so much. What’s still on your to-do list? There’s always more to do. I think I’d love to achieve a vacation at some point. [Laughs] Honestly, the things I’ve yet to achieve have more to do with my personal life than my work. Finding some balance would be great. I’d like to do some film scoring. I’d like to write music long-form—something in service to a film without thinking about lyrics and singing. I’d like to go back to Broadway. I had the most amazing time; playing Pierre in Comet was like my inner rock star, getting wasted and yelling at God every night. I had a great time doing it. I love the community and the work ethic. I love the music. That’s a place that I feel very welcomed. And then you finish an album and you think you’re spent, then you find yourself at the piano coming up with new stuff again. What’s keeping you from completing your personal goals? If you’re going to be a musician, travel is just part of the job. Packing your suitcase and constantly being on the road is a part of music now because that’s an enormous part of connecting with your fans. Promotion requires you to be everywhere—in every city, in every country—so you’re constantly saying goodbye. That’s the biggest challenge in my personal life. It’s constantly having to say, “I’ve gotta go.” Unfortunately, if you’re going to find a way to set roots down, it means having to sacrifice things you’ve got to do for your job. I’m 37 now, and I’ve been doing this for 20 years. It’s time I think about the balance more. Work smarter, not harder. I don’t want to just see the world through a hotel window. What do you miss most about L.A. when you’re in NYC or on tour? To me, L.A. always represents family and home. The first thing I do when I get back is go to my parents’ house and barbecue on the grill. My dog runs around, and it’s so great to see my parents and my brother again. We’re such a close-knit family. Then for brunch on the weekend, I’ve got to go to Nate’n Al deli to get my omelet from a cranky waitress who’s been there for ever and ever and ever. Augustine Wine Bar in Sherman Oaks is my wine place. Runyon Canyon for views of the whole city. And for good Mexican food, I’ll go to El Cholo, which has been my birthday spot since I was a kid. I’ve gone to the Hollywood Bowl forever, too. It’s one of the great wonders of L.A. Every time I set foot on that stage as a performer, it’s the most full-circle moment for me.